New for 2018, Porsche has introduced the second-generation 991-type, 911 GT3 Cup car to the Carrera Cup GB. The new car is faster, more durable, more efficient, and even safer than the previous model. It is quite simply a pre-bred race car and a precision instrument for the race track – the next step in Porsche’s vision to create the perfect race car. 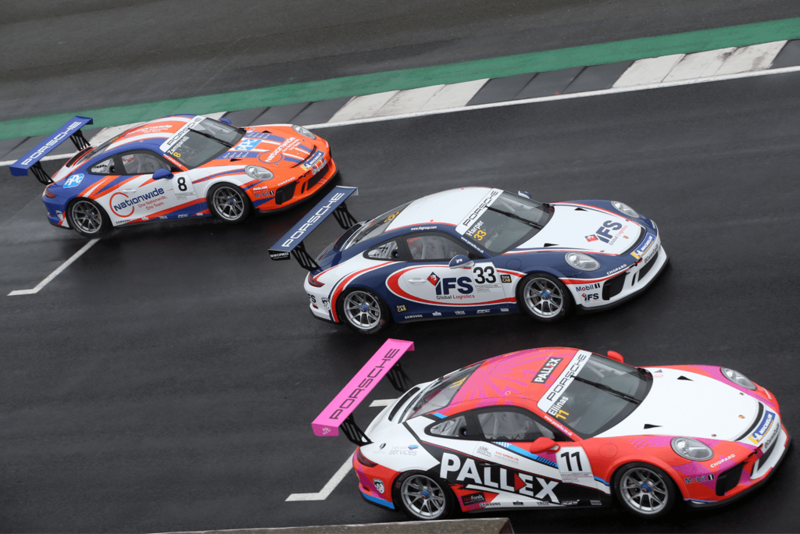 Porsche Carrera Cup GB 2018 will provide the perfect platform for demonstrating the new car’s enhanced capabilities and outstanding performance alongside individual driver skill and nerve. The improved 911 GT3 Cup design includes new front and rear aprons, four-point LED headlights, and tail lights with a contemporary flair. These striking changes are not just aesthetic, they unite more than ever before the character of the Porsche 911 sports car icon and innovative new technologies. Increases in performance and torque cement the new 911 GT3 Cup as the fastest one-make car in the UK and promises an even more adrenalin-fuelled championship for 2018. In addition, a key benefit of this new driver system is that the engine and gearbox run times have been doubled before they require their first rebuild (engine from 50 to 100 hours and gearbox from 30 to 60 hours) thereby significantly reducing operating costs. Other design improvements include the new front and rear aprons which optimise airflow and FIA rain lights have been integrated for the first time. Safety has also been dramatically improved in the new car. An enlarged roof hatch means easier access to the driver and the aluminium and steel hybrid body shell satisfies all safety requirements.